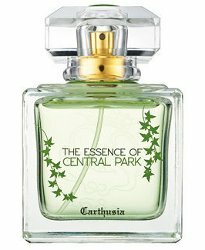 Italian niche brand Carthusia has launched The Essence of Central Park, a new fragrance in collaboration with the Central Park Conservancy. Inspired by the Park’s elegant tapestry and natural beauty, it was created by Carthusia expressly for Central Park Conservancy, the nonprofit organization responsible for the day-to-day maintenance and operations that keep the Park beautiful and vibrant. Central Park Conservatory Garden curator, Diane Schaub, has collaborated with master perfumers at Carthusia’s headquarters on the Island of Capri to craft this unique scent, reminiscent of the magnificent Spring and Summer blooms in Central Park. The notes feature magnolia, winter honeysuckle, linden and artemisia. Carthusia The Essence of Central Park is available now at Beautyhabit, $140 for 50 ml Parfum. Update: additional notes include bergamot, lemon, tangerine, lavender, sea accord, neroli, lily of the valley, geranium, pink pepper, cloves, vetiver, amber, elemi, vanilla, tonka bean and white musk. I think it’s coming to Bergdorf, and someplace else I can’t remember…don’t think it’s actually officially launched yet. And assume when it does that the CPC will also advertise it — I assume they’re going to make funding off it, although have not seen that said officially anywhere yet either. This does sound interesting, if it is not so airy as to be non-existant! (I am not a fan of the Japanese approach to perfume) Does Carthusia usually produce scents with some body? I don’t think I have encountered anything by the house. They are a real mix — some of them are very rich, some are very sheer. So no help! Aw, I wish this had wisteria, which is my favorite scent memory of Central Park. Even so, I’m interested by default and really hope I get the chance to try this. I hope I like it enough to buy it, because that bottle is just adorable. Oooh, winter honeysuckle is just about the best smell ever!! I grew up in the mid South, where it would often start blooming in late January (and occasionally end up coated in ice when the weather was especially capricious). A perfume that actually captures that scent will be a must-have.